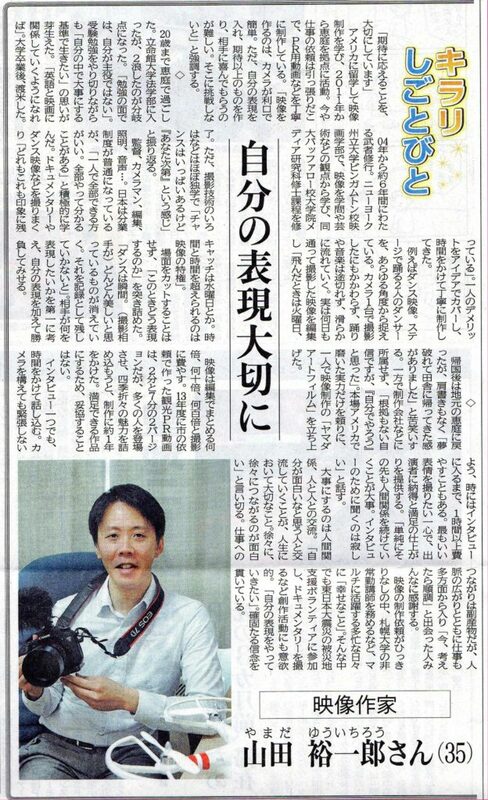 Chitose Minpo Press wrote the article about Yuichiro Yamada on November 8, 2014. 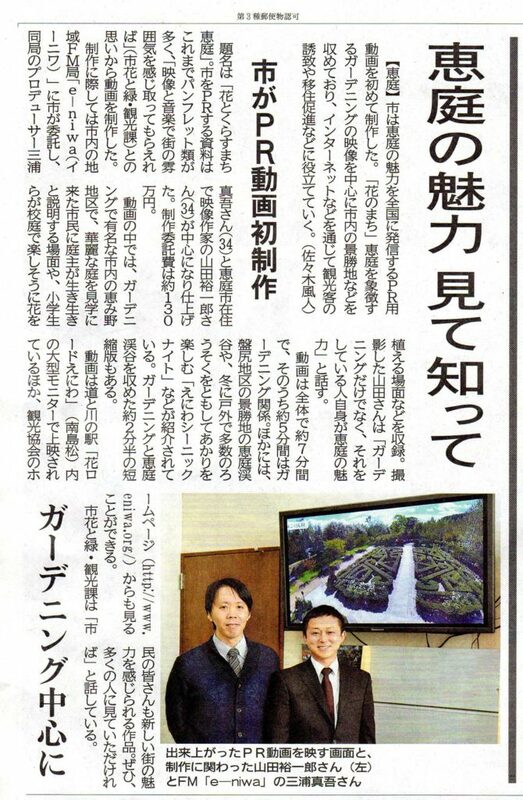 Hokkaido Shimbun Press wrote the article about “City Living with Flower“, directed by Yuichiro Yamada, on March 8, 2014. “City Living with Flower” introduces Eniwa city known for a gardening. It has been played in Flower Road Eniwa. The screening “Nihonmatsu and Oshiruko“, directed by Yuichiro Yamada, in NY was introduced in Fukushima Minpo Press on March 1, 2013. “Nihonmatsu and Oshiruko” is a short documentary filmed in 2012. 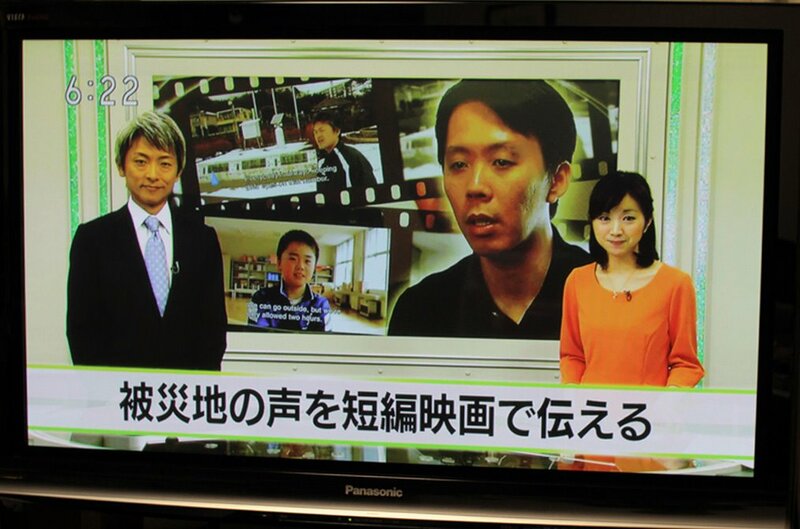 NHK introduced “Nihonmatsu and Oshiruko” filmed by Yuichiro Yamada shown in their news show, Hot News Hokkaido on September 28, 2012. I’m glad that the voices from people in Nihonmatsu reached people in Hokkaido. 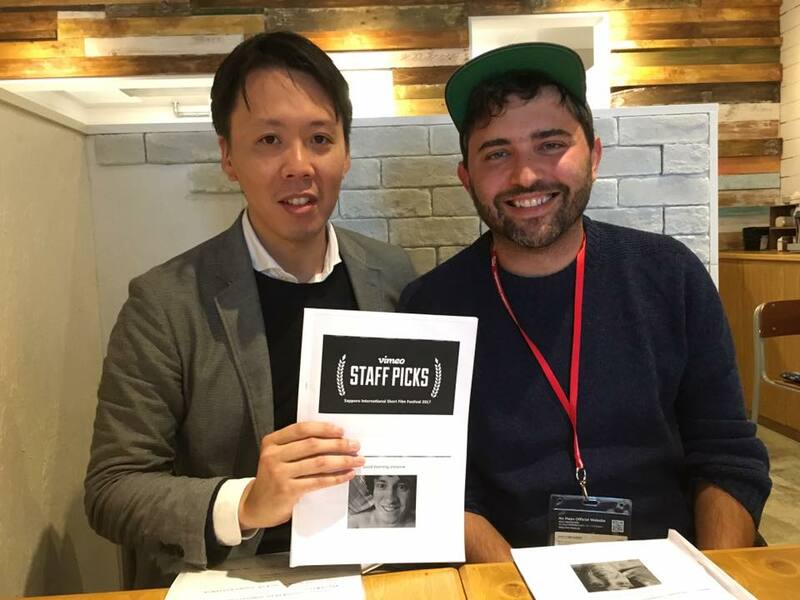 Yuichiro Yamada did an translator for “The Secret of Vimeo Staff Picks” in Sapporo Short Film Festival 2017 on October 9, 2017. 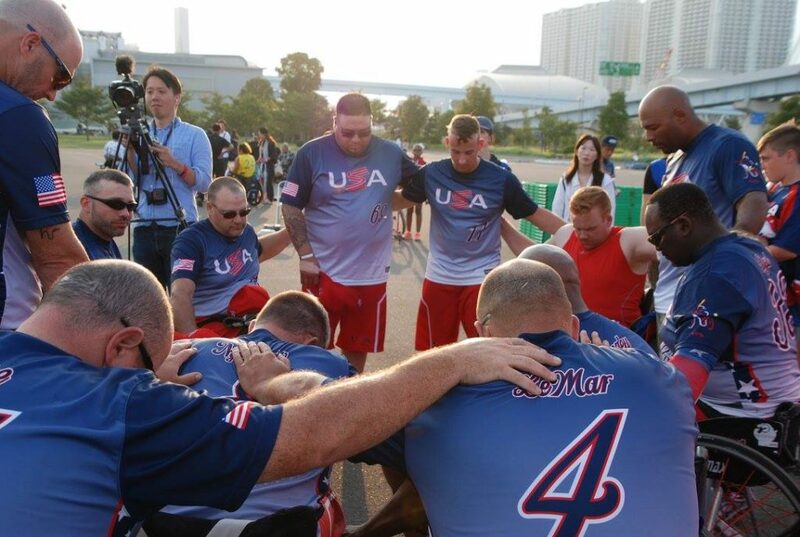 Yuichiro Yamada joined the Wheelchair Softball tournament in Tokyo to film the USA National Wheelchair Softball team on October 7 and 8, 2017. 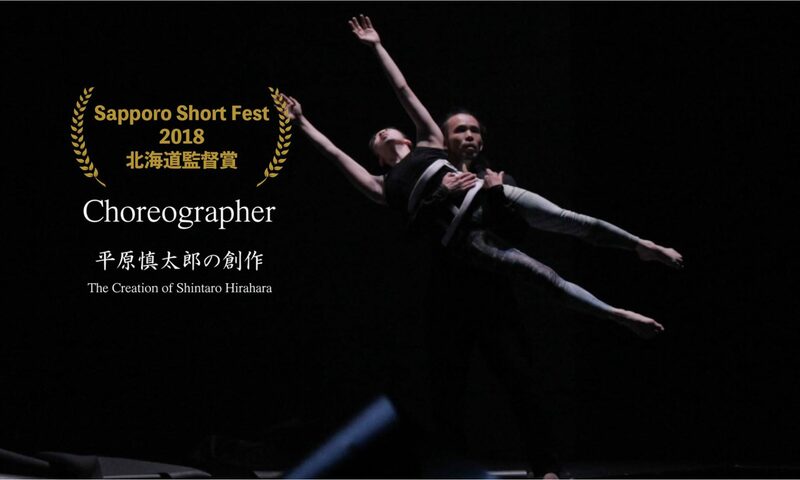 Hokkaido Shimbun Press wrote the screening of the short documentary “Nihonmatsu and Oshiruko” in Sapporo International Film Festival on 12 August, 2012. “Nihonmatsu and Oshiruko” is a short documentary filmed in 2012. 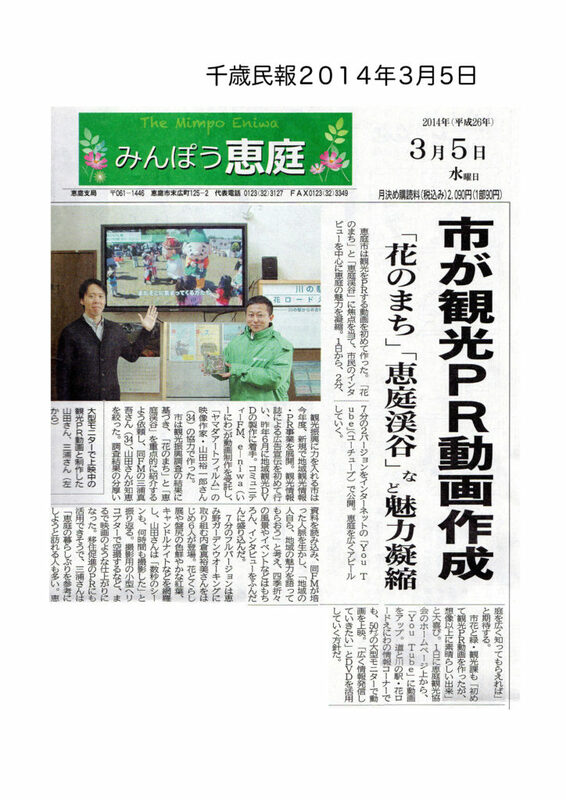 Hokkaido Shimbun Press wrote the article about “Nihonmatsu and Oshiruko” directed by Yuichiro Yamada on April 27, 2012. “Nihonmatsu and Oshiruko” is a short documentary filmed in 2012. It presents the relationship through an oshiruko, a traditional sweet red bean soup, between people in Eniwa and children in Nihonmatsu a year after Great East Japan earthquake. 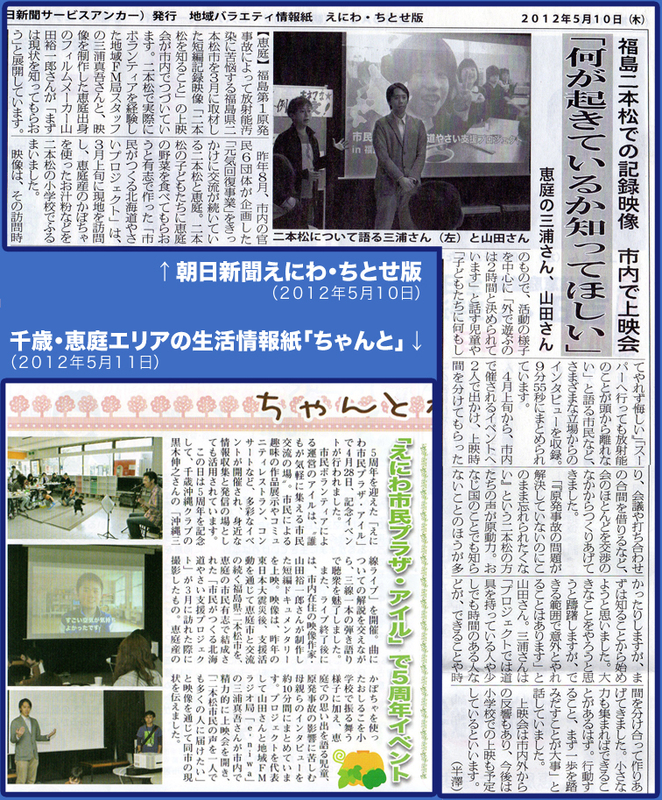 In May 2012, two local newspapers introduced the screening of “Nihonmatsu and Oshiruko”. 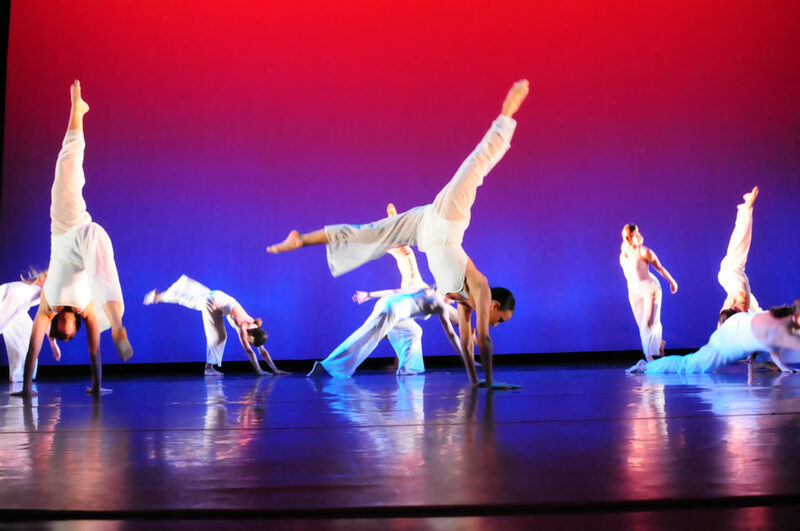 UB Now wrote the article about the documentary, “Time to Dance” follows the process of making dance by Melanie Aceto, filmed by Yuichiro Yamada on February 10, 2009.